Rent out area you own. Anybody will be able to rent it (90 days max) for the price you specified. You get all the money with no fees. Only renter (not owner) is able to place ads within rented area until rent expires. Owner is still able to sell rented area. 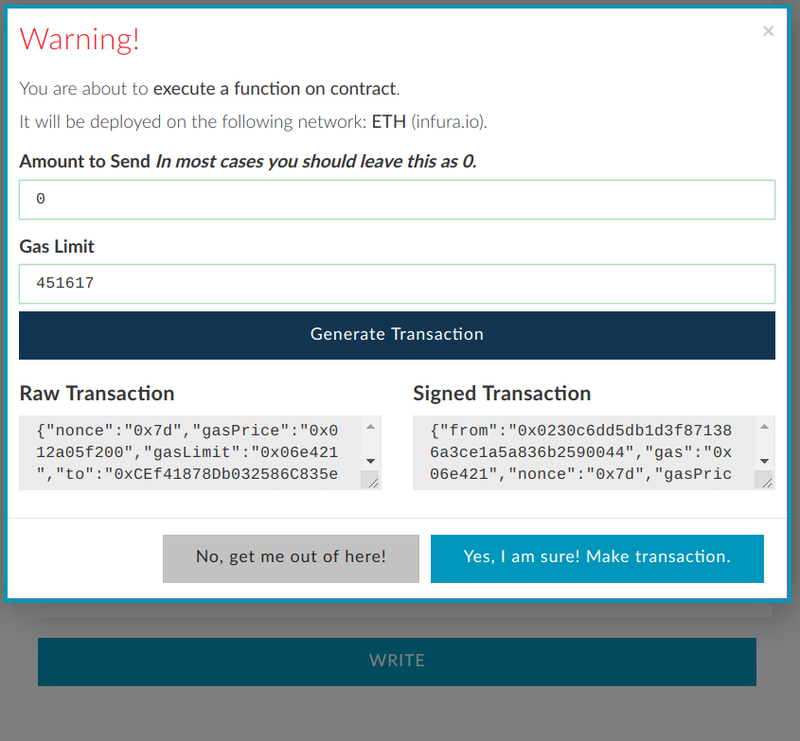 In contract interface select rentOutArea function (in some wallets may appear under Write section or similar). coordinates you would like to rent out. rent price per block per day in wei (max is 90 days). 2. (Optional) Make sure that the area is available for rent. Same as Checking rent status and getting rent price in Rent section. 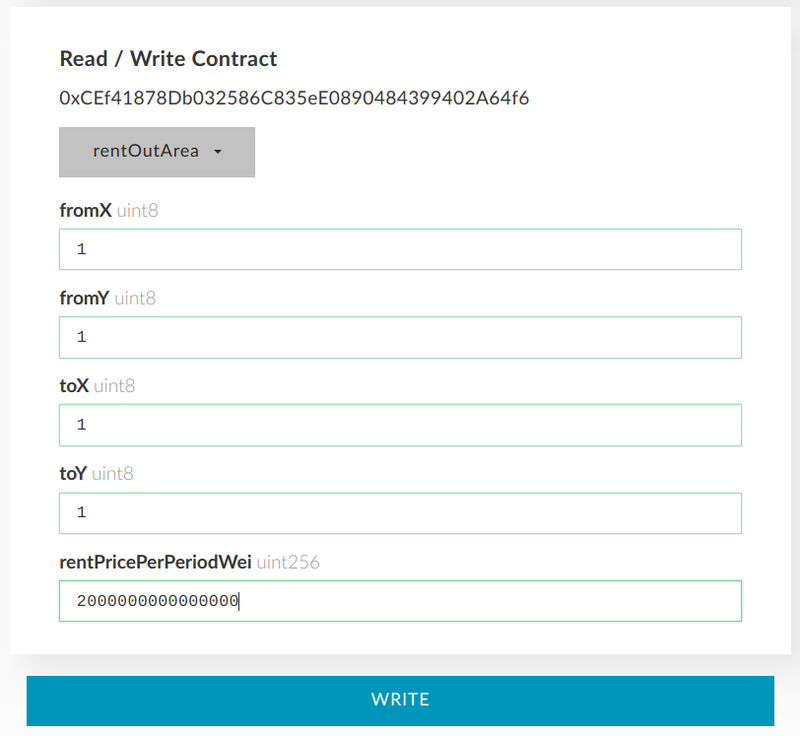 In contract interface select areaRentPrice function. coordinates you would like to check. Click Read and check that the total price you see is the one you want (you are not paying any gas here). Remember that when renting area out you specify price per day per 10x10 pixels block. Here you get the total price for the whole area. Divide it by the number of blocks in area and get your rent price per day per block. The price is wei (Ether unit converter). Now the area is available for rent. When somebody rents it you’ll get eth. After that you’ll need to withdraw it from your balance. Until then you are still able to place ads and cancel rent or set another rent price. Even after somebody rents your area you can sell it. If somebody already rented your area you cannot cancel it. But you can cancel further rent deals immediately by setting rent price to 0. When current rent expires your area will not be available for rent. coordinates you no longer want to rent out.